Octavia is not a new car in the Indian market, it was first launched way back in the year 2001, then later the 2nd generation Octavia was introduced in the Indian market in the year 2005 and the name was changed to Laura, but this car was not hit like the Octavia. It is available in colour options as Brilliant Silver, Candy White, Cappuccino Beige, Magic Black, Race Blue and Rio Red. The new Skoda Octavia is available in three variants namely Active, Ambition and Elegance. The Skoda Octavia has priced at start rate of Rs 13.95 Lakh, which is quite good for what it offers. The Octavia will be available in both Diesel and petrol variants. The 1.8 litre 1798 cc TSI Petrol engine generates about 177bhp of maximum power at 5100-6200rpm and about 250 nm of torque at 1250-5000rpm, it has been mated with a 7 speed DSG gearbox. The other engine which is a 2.0 litre TDI CR 1968 cc Diesel engine generates an impressive 150bhp of maximum power and 3500-4000rpm and about 320 nm of torque at 1750-3300rpm, this engine has also been mated with the same 7 speed DSG gearbox. The Diesel engine has ample power when you step on the accelerator everytime which is really a good news. The 7 speed DSG gearbox also works perfectly to keep the car in right power band every time. As of ride quality, it has been fitted with slightly stiff suspension setup but we think Skoda will regret and correct it. This new Octavia has also has been fitted with many driver aid function which definitely helps the sedan to handle brilliantly. 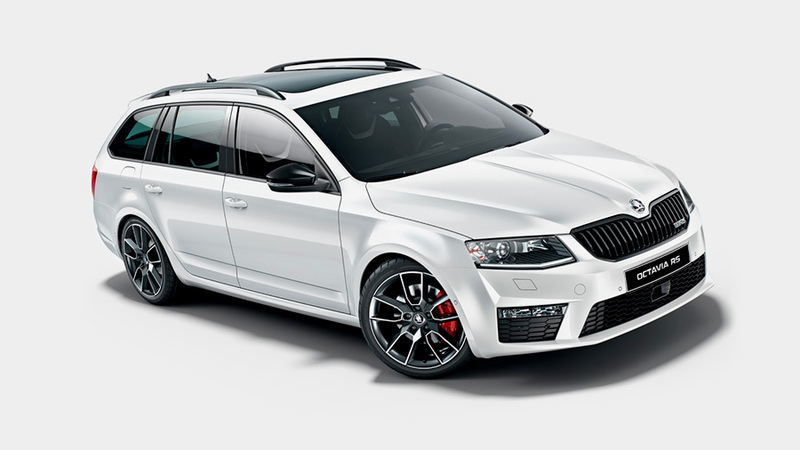 The new 3rd generation Octavia also is lighter up to 102 kilogrammes than the second generation Octavia. The Octavia shares the MQB platform which was common in high-end luxury cars. As of safety, Skoda employed – Nine airbags finely interacting with 3-point safety belts, shield occupants from injury. Knee airbags and rear side airbags, Front Assistant/emergency braking functionality, Lane Assist system, Driver Activity Assistant (fatigue detection). The new Skoda Octavia also gets a new shiny logo at the rear. Lastly, the tail lamps at the rear of the car get a C shaped LED treatment which looks quite stylish too. The whole exterior styling of the new Octavia comes from Skoda’s new ’vision D’ look. The headlamps also got sharper in the new car, it also has a daytime running lamps integrated into the headlamp which looks brilliant and very modern. Skoda has started rendering their new generation cars with a more aggressive kind of a look. It also gets features like Panoramic sun-roof, audio system with TFT colour touch-screen display, dual zone climatic air-con, adjustable rear ac vents, 12-way electrically adjustable driver’s seat, tyre pressure monitor, parking sensors and well we can go on and on. The dashboard once again looks like a typical Volkswagen car’s dash quite simple and sober, it might look boring too to some people. The round black air con vents also look classy on this dash. There is a touch screen MMI(multimedia interface) which has smooth touch surely looks good at the centre of the dash. There is another display in the instrument cluster which informs people about the details of the car, there are plenty of information available from that screen along with some safety information too like the lane departure warning. The word “3rd generation” is perfectly meant to be Octavia because of its plenty of features, specs, and mostly its style quotient. The only thing Skoda should do is to maintain fame after sales by its service.